After Elie complains about toxic masculinity and razors, he and Joe discuss whether or not Rudy Giuliani’s bizarre turn from respected former prosecutor to a talking head lunatic that seems to make his client’s case worse at every turn. Did something happen to Rudy along the way… or was he maybe not that great at his job to begin with? Also, stealth layoffs may be appearing in the Biglaw world again. Is it time to start panicking? Joe Patrice: Hello. Welcome to another edition of Thinking Like a Lawyer, brought to you by our friends at Smith.ai. So if you are looking for a virtual receptionist service for lawyers, you should check out Smith.ai. Elie Mystal: I am a blogger, and so with that a lot of times comes the suggestion or the criticism or the snarky remark that, oh, you are just — there’s some guy, sitting your keyboard — sitting in your row behind a keyboard in your mother’s basement. Well, hey folks, I am actually in my mother’s basement. Elie Mystal: And I am in my sweatpants, actually in my mother’s basement. It has happened, I’m four-years-old, and the circle has now been completed. Elie Mystal: That’s not what I am talking about today though, because I like my mother. Joe Patrice: Okay, good. Good. So she’s in the room. Elie Mystal: She’s — oh yes, she’s absolutely in the room and so there’s a good chance I won’t be hosting today. Elie Mystal: Well, I have a pretty cool f**king mother, so you never know. Joe Patrice: Yeah, yeah, there you go. All right. Elie Mystal: That’s not what I am pissed off about, not pissed off about being in my mom’s basement. I’m not pissed off about working in my sweatpants. You know what’s grinding my gears today, Joe? Joe Patrice: I have no idea, but I’m excited to hear about it. Elie Mystal: Apparently there are men in this world of ours who are less sensitive than a Gillette razor. Joe Patrice: It’s amazing, isn’t it? Elie Mystal: That’s actually where we are too. A freaking razor commercial has exerted more good men sensitivity than the right wing males of this country can abide. And so, most of the time on Twitter in the past week the fights have not really been about Trump or the shutdown or whatever, it has been alt-right men losing their mind because Gillette razor company asked if this was really the best men could be. Joe Patrice: Yeah, yeah — no, that — I mean that, that’s a real thing that happened, yeah. Elie Mystal: If you guys haven’t seen the ad, it’s — and by the way as a liberal I’m not inclined to like ad campaigns like this, okay, like it is a giant corporate behemoth trying to glom on to the Me Too movement by putting together an ad, that’s basically looking — kind of touching on some of the Me Too issues and then using if you’re not familiar with Gillette’s products their — their company tagline is, “The Best a Man Can Get” and so they have basically all these kind of scenes or examples of men behaving badly, and they changed their tagline to ask, “Is this the best men can get? And then at the end of the ad they show men, instead of doing the wrong thing, instead of looking away as boys fight saying, oh boys will be boys, they show, fathers getting involved and breaking up fights and telling their children, this isn’t how we’re going to treat people and not laughing it off when the comedian grabs some somebody on the — pat somebody’s bum. That’s — that’s the ad. And it ends with reminding people that the next generation of men are watching and it says “The Best a Man Can Get”, it’s like buy a freaking razor, like it’s the whole — that’s the thing. Be a decent man. Buy a Gillette razor. And the right wing has lost their minds over this. Joe Patrice: Yeah, “Boycott Gillette” is a tagline I’ve seen. Joe Patrice: Yeah, because they don’t like the insinuation that perhaps being a good person would be a bad thing. Joe Patrice: Yeah, we’ve entered. We’ve gone through a looking glass here. Joe Patrice: There’s some broken people, but it’s actually I found it very useful, because I’m utilizing Twitter and Facebook as an opportunity to determine who the people who are like real life beta males are and that’s it. People who are actively pissed off about this is exactly the insecure people that should be excised. But yeah, so there we go. So, you’re mad about that? That’s fair. Elie Mystal: Yes, I’m mad at the people who are mad at Gillette, that’s how that rolls, because there’s — and as you put it, I mean I try not to use these terms, right, but yes, the fragility of the alt-right is on display, because we live in a world where a freaking razor company is actually more sensitive. It makes you want to shave, I don’t like shaving. Joe Patrice: Fair enough. Fair enough. Elie Mystal: So, what’s going on with you this week? Joe Patrice: Well, we’ll get to that. I think this is the right time we’ll get to what I’ve been doing on the other side of this, but in the meantime are you missing calls, are you spread too thin? Interruptions kill your productivity but clients demand a quick response. The US-based professional receptionists at Smith.ai help law firms screen new clients and schedule appointments by phone and website chat. Plus, Smith.ai integrates with your software including Clio and LawPay. Plans start at just $60 per month. Get a free trial at Smith.ai. So what’s up with me? I’m tired. I am very, very exhausted, it’s been a rough week of staying out late with meetings back to back to back every night, so it’s been rough. Elie Mystal: Isn’t a — it’s a LegalWeek out there, isn’t it? Joe Patrice: It is not yet. That is coming up, but that is why I have meetings back to back to back. Some of the savvier people out there, not to say anyone’s not savvy, but like some of them who are in the New York area said, well, wait a minute, he’s going to be totally booked if we wait until LegalWeek, so they’ve been scheduling things now saying, hey, we are in the same city, let’s tell you about all our offerings for the show a week early so they — you don’t have to try and squeeze us in between 20 other companies, which is great. It has meant that the whole affair of constant meetings starts early now. Elie Mystal: To be young? Elie Mystal: You must feel like Alexander or Sarah Cortez? Elie Mystal: A or Z, a LegalWeek. Joe Patrice: Right, so that’s a fair moniker. Anyway what’s interesting to me about LegalWeek, which is coming up, this is a good time to mention it. If you are one of those folks who is going to be going to LegalWeek or just someone in the New York area who would like to see an interesting discussion, you can come to see us. We’re having an event, you look it up on the website, we have an event Bright Things so that you can RSVP for it. But it’s going to be an interesting panel discussion about how to fix legal-tech shows? What is it people want to see out of a show that’s talking about legal technology, and this runs the gamut. We have people from different perspectives talking about what kinds of products they want to see, how they want it laid out. It’s a discussion that if you’re in this world has kind of been begging to be had, because we just learned today that Thomson Reuters of Westlaw fame large legal services company is decided to pull out of the upcoming ABA TECHSHOW and that they are re-evaluating in their words going to tech-shows ever again. So, with that announcement, they are doing that because they have started to wonder if maybe these shows where all these vendors get together and try to pitch clients, if there’s maybe just no utility to it to them, and that’s why we’re going to have this discussion to kind of figure out what people think would make for build a better mousetrap of a legal show. Elie Mystal: When you say “us”, you mean you, right? 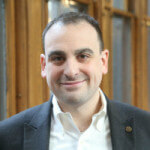 Joe Patrice: I am moderating this panel but we have multiple guests, Bob Ambrogi will be on the panel. We have folks from the vending side, we have folks from the in-house side, and folks from big law firms. So we’re going to run through and kind of have a McLaughlin style. I mean, it’s us, so it’ll be fairly light and there could be a few jokes thrown in there, and yeah, and after that we’ll have some drinks and chat with people. So it’s a fun time, go RSVP and especially if you’re going to be at the show. Elie Mystal: That sounds great, maybe I’ll RSVP. I might have to put on pants though. Joe Patrice: Yeah, it’s a Monday too. Elie Mystal: Yeah, my gosh. Joe Patrice: Yeah, you are like basically like Garfielding over there. Elie Mystal: Yeah, a totally awful job, that sounds like me. Joe Patrice: Okay. So yeah, so we’re — so that’s coming up. That was the one aspect of what we were talking about, because LegalWeek is coming, that event is coming. Other stuff that’s been going on today. We’ve also had to reacquaint the world with a term that thankfully we haven’t used at Above the Law in several years, but it’s one that is making a comeback apparently today, which is stealth layoff. Joe Patrice: So it appears, and we are still waiting on confirmation for how this all went down, but multiple sources within the firm Cahill Gordon say that there was a purge basically of an entire class of litigation folks, senior litigation lawyers, all kind of got told to hit the road all at once. Now obviously we don’t know for sure if everyone was affected, but it certainly sounds like from the tipsters who’ve reached out to us that it’s a blanket firing, which is what we used to call a stealth layoff, where you don’t say you’re laying people off, you just go around and individually tell a whole group of people that they need to leave. Elie Mystal: Yeah, and firms can do it differently, and again, we don’t know all the details with how Cahill may have done it, but the two hallmarks for the Stealth Layoff, one of them I think is generally — I’m going to go on to say it’s positive, one is kind of horrible, right? I’ll start with the horrible one as is my one, one of the problems with stealth layoff is that you kind of make the people feel or understand that it is something about them, it is something about their performance or their work product or not — it’s not a for-cause layoff, but it’s a upper-out kind of layoff. Oh, you’re probably not going to make this or that. Elie Mystal: Good time for you to start looking for another job, right? That’s the horrible things that kind of deprives people of, I would say, dignity. I’m just saying, look, we are out of money. We need to cut cost or whatever it is, right? Elie Mystal: — so the benefit of this stealth layoff is that you do have a little bit of runtime where you can kind of try to find another job before the industry catches up to the fact that you’re looking for another job because you’ve been essentially fired from the last one. Elie Mystal: Cahill, this is what — and again, we don’t have all of it blocked down yet, but if this is what Cahill is doing, I would say that it’s least beneficial that they’re doing it at the first, early in the year, because this is the time when people are making lateral moves. If you’re not familiar with the Big Law hiring cycle, what most people do is that they wait till their bonuses come out, their bonuses usually do not come out the date that they are announced, usually have to wait some period of time between announcement before the bonus is fully vest. You have to be at the firm and good standing on December 24th or January 1st or whenever the firm dictates. And after you have that money in your bank account, that’s when you kind of immediately hit if you’re inclined to leave, that’s when you hit the lateral market. So being stealth laid off at this particular time in the calendar is kind of the best way that it can happen, because you’re still — you kind of have plausible deniability that you’re just looking for another job as opposed to having to run around with your hat in your hand, explaining how you’ve been pushed out of your last one. Joe Patrice: Yeah, and it does seem — and just looking, trying to put together tea leaves on my end with this story, it does seem as though these folks may well have not been getting laid off, because they’re bad at their jobs by any stretch of the imagination. It seems as though what appears to have happened is we just had partner elevations for them. It seems like a lot of people in this particular group just got elevated. Obviously they’re one year removed from the class that we here is having this problem. I think it might just well have been a — we just filled the partner slots for the next forever. So, I’m sorry but we’re not going to make you partner, so you might want to get out, which is unfortunate, but in some ways it’s nice to at least know that there’s no reason to stick around, and it does mean that it reflects better on you, especially with a firm like Cahill which has historically a very, very small partnership class, all in compared to some of these large firms out there. So people kind of can understand, oh, it makes some sense. It’s not — it’s not you, it’s them, sort of. So when they hit the market it could be better. Elie Mystal: Right. Look, lots of firms have up or out policies and it’s not great, but at least as you say at least you know where you stand and you are able to make again, doing it at this time of the year, I think really allows people to make better, just to have a better chance and to have a real shot of landing on their feet. Because a lot of the things that we’ve seen and this is one of the reasons why we’re talking about the story is that layoffs tend to be a little bit like mice, right. If you see — if you see one mouse, you’ve got mice, right? Elie Mystal: But we don’t know that yet, and absent information to the contrary over the next weeks and months, the legal economy still seems to be fairly robust. It’s still — we don’t see a lot, the bonuses, we are strong. We just went through a set of salary reasons. There’s not a lot of kind of outward indications that Big Law is about to go through a massive contraction, at least not this year. And so, if you’re in this position like a Senior Cahill Associate, there should be jobs for you. You should be able to again land on your feet. Joe Patrice: Yeah, and these things happen, but it is where we come in. As Above the Law, it’s kind of our job to make sure that information is out there. And so thank you to all the tipsters who reached out to let us know, so that we can report on it and help everybody by knowing exactly the state of the market. Now, you say, you don’t foresee problems. I’m — yeah I — I don’t know, law — the legal industry is usually a lagging indicator, but I see some things to suggest to me that there’s going to be some reckoning within the legal world. I don’t know as though it’s going to affect the very, very top, but I think that growing gap between the — maybe let’s say Am Law 25 to 30, and the rest of the Am Law group is going to eventually hit a breaking point and something’s going to give. Joe Patrice: But for now everybody is expanding. Elie Mystal: On that I totally agree and I think we agree on that in large part, because the existence of the salary raises in the first place. I mean, I think you’ve written about them when the raises were happening in real-time last year, but not every firm needs to be paying what Cravath pays. And the fact that every firm has decided that it has to pay what Cravath pays, means that some firms are more financially insecure than others. Elie Mystal: And eventually with this idiot in the White House, eventually Trump’s ruinous economic policies are going to hit Wall Street, and when Trump’s ruinous economic policies hit Wall Street, they will hit Big Law just as well and the firms who are stretching themselves to keep up with Cravath during these relative salad days are going to I think pay a significant price when the wheel comes back around. All I’m saying that I don’t see a live evidence or a suggestion that the wheel is coming back around this year. Joe Patrice: Yeah, maybe. It will be very — those of you who are at smaller firm, mid-sized firms with a robust bankruptcy reputation, could well come out very well when all that goes bad because I think there’s going to be some firms that really need some bankruptcy folks. Elie Mystal: Don’t you always? Elie Mystal: They counter technical practice. Joe Patrice: I mean, it’s amazing. When I was — when I first started out I was in litigation mostly because I didn’t have anyone in my family who was a lawyer before and I didn’t understand what other practices existed but litigation. But as a litigator the way my firm handled litigation, I mean, it was kind of — obviously there’s a lot of transactional aspects to it as well as litigation, and on the litigation side of it, we kind of shared resources. So I did a couple of bankruptcy things and I very much thought — very much thought, I’d never ended up having to go into it, but I thought it’s good that I’m learning how to do this, just in case. I want to make sure that it’s known that I’ve actually argued in bankruptcy court before because that could easily come in handy. Anyway. Elie Mystal: Can we talk about Giuliani? Joe Patrice: Oh, if you want to. Joe Patrice: I mean, I just — I refer to him as — he’s like late-stage Brett Favre at this point. Remember when Brett Favre reached that point? So Brett Favre eventually reached a point where the fact that he had never had good decision-making, started catching up with the fact that he used to have physical talents that overcame the fact that he had terrible decision-making, and despite this those shuds who were running network news, sports sites have just going off on, he’s just like — he’s taking risks out there. He’s a riverboat gambler, like he got to respect the playground mentality and it’s like no, you don’t. He’s making terrible decisions. He’s a back-breaking interception machine. And that’s where I think we are with Giuliani. Every time Giuliani does something now that materially damages the case of his client, in this case, the President, all I can think is there will be a string of people going, look, Rudy Giuliani, I mean, masterful lawyer he was a get-tough prosecutor and I’m like no, he — he’s — he was the — he ran the — and what they don’t lose, generally speaking, like it’s not actually all that difficult to be very good as being a federal prosecutor, right, like it’s not to say that it’s not hard work. Elie Mystal: Immense resources and lots of power. Joe Patrice: Yes, yes. It’s not that it’s not hard work, it obviously is but like, come on people, is he any materially smarter than any one of a number of US attorneys out there? Not particularly, he was better at self-promotion perhaps, but come on. And so, as this keeps happening all I keep going with is it’s possible that this is the Brett Favre moment where he had all those physical gifts that were running one of the most prestigious federal prosecutor offices in the country. And now that he doesn’t maybe we should start recognizing he wasn’t all that great to begin with, and that’s why he’s going around saying things like, I mean, I never said that there wasn’t collusion. Elie Mystal: But, Joe, let me ask you — let me ask you a question this way, and look, I know part of this is to be between your children, is it that Giuliani is the worst lawyer or is it that Donald Trump the worst client? If you have to choose, yes, they are both awful at their respective roles but sometimes you hear Giuliani talk and it occurs to me the reason why he consistently sounds like such a freaking idiot is because his client is such a freaking idiot that the facts change — like we don’t know what kind of actual access Giuliani has, right. So there is defense team, so the facts are changing under Giuliani as he and his biggest failure is that he has no problems lying which a good lawyer should not. A good lawyer should not say such ridiculous over-the-top sweeping statements just in case their client is an untrustworthy lying jerk face, obviously that is Giuliani’s, that’s that fault is entirely on Giuliani. But, we also have to recognize that he is working with possibly the worst client ever in American history. Joe Patrice: Rudy Giuliani nearly torpedoed one of Donald Trump’s most central campaign promises because the moron went on television and said, yeah, I mean I was called in to make sure we got a Muslim ban. It is not the client’s problem here. This is absolutely Giuliani doesn’t have any clue what he’s doing. That Muslim ban nearly died because this guy couldn’t stop himself from saying, hey, it’s a Muslim ban, that’s no client, that is a bad lawyer, and that’s where we are. This is a guy who’s not really a good lawyer, he’s just — let’s put it this way, he’s been booted by a couple of big law firms that he’s worked for since leaving office. Big Law firms don’t cut deadweight that gleefully if they really think that they’ve got gold there. He gets shown the door because nobody really thinks he’s the second coming of Clarence Darrow or anything. Joe Patrice: It’s the Muslim ban that like makes me go, no, no, no, that was an unforced error, that’s the point where he just threw in a triple coverage and had no — like no plan while running and looking like a kid out there. Elie Mystal: Yeah — no, I’m not going to lift my voice one second to defend Giuliani’s tactics or behavior or acumen or abilities or credibility. Elie Mystal: You know what I want to talk about? Joe Patrice: Oh no, what have you got? Elie Mystal: You know what I want to talk about to close the show? Joe Patrice: Sure. What is that? Joe Patrice: Oh no, no, no, no, no, no, no, no, no, you’re going to talk about takings. Elie Mystal: Takings. There’s a takings case that happened that we argued this week, it’s fascinating. It’s not — they’re not taking crickets, they’re taking this woman. Here’s what’s happening Nick v. some township in Pennsylvania, I forget which one. Elie Mystal: Because I am super-prepared for this show. The Nick case, it was argued in October but there was only eight Supreme Court justices so they re-argued it with Justice Bret this week. The issue of the case was that this woman, Rosemary Nick, owns some property that happens to have a cemetery, I don’t know why she owns part of a cemetery but she owns part of a cemetery, so there is that. Pennsylvania, the township has an ordinance saying that if you own on private land a cemetery, you have to allow for a certain level of public access for people to be able to see their dead loved ones which again seems reasonable. However, Pennsylvania says that this is not a taking and Rosemary Nick says, no, that’s a taking, that’s a government taking to which I am entitled just compensation. Now, the legal issue is a bit more knotty where the real kind of the Supreme Court issue is that Pennsylvania has kind of a state law process for handling these takings disputes. Pennsylvania saying they don’t owe her any money and they’re saying that Nick has to litigate her entire claim through the Pennsylvania State Court system before she can appeal to the federal courts for her Fifth Amendment rights. And Rosemary Nick, I think correctly is saying no other constitutionally protected right works that way. If somebody violates a constitutional right, we have an immediate cause of action to go to federal court and defend your constitutional right. So she shouldn’t have to waste time going through Pennsylvania. She should be able to appeal directly to the federal court. That’s the issue that runs in the face — Nick’s argument runs in the face of like a 35-year-old precedent that has entirely settled law, it’s like an eight to one decision written by Antonin Scalia like it’s a lock-solid precedent. But as you well know, conservatives for the last 35 years or so bitching about takings and trying to make it harder for the government to take property and trying to make it more expensive for the government to take property. So we’re in the situation where you have five conservative Supreme Court justices on an issue they are supposed to care about with a plaintiff they are supposed to like, and all they have to do is overturn a 35-year-old Antonin Scalia decision to get to the right result and in the offing, if the conservatives do that, well, it’ll just make it that much harder for Donald Trump someday to take property for his wall. Joe Patrice: That is — I mean there is definitely something we said for that, the wall concept would require taking land from people. Many of those people are folks who don’t want their land taken from them. So that’s fair point. Elie Mystal: The wall, I mean, for Donald Trump’s wall, what people understand about the wall, right, is that the federal government does not own 2,000 miles along the US-Mexico border, all right. They own at best about a-third of it, and by the way, over most of that third there’s already some barrier structure or pounds or whatever the hell they have to intimidate asylum seekers. But for the rest of it, they have to get that land from somebody and most of these people don’t want to sell. Do you ever try to take land from a Texan? That’s what they think they have the Second Amendment for, not the fifth, so the government is going to — and the real issue is not even going to be whether or not the government has the authority to take the land; although, I do think there are some interesting, is this really a public use issues here. But the real issue is going to be what the Just Compensation is because the government is going to only want to pay for the narrow strip of land. You’ve taken my whole property so you have to pay me for my whole property because this 30-foot high ugly monstrosity has now decreased the value of my entire property not just the strip that you’ve built on. And so the Just Compensation issues are going to — there are still takings issues going through the court system from George W. Bush, eminent domain is going to stop this wall long before Nancy Pelosi puts our ship in its back. Why don’t you just like — where’s your soundboard with your applause lines and cheering now for this amazing and interesting field of law? Why do you hate taking so much? Joe Patrice: It’s boring and you were way more fascinated by it than you really should be, but you rake some good points and if you’re interested in — if you’re interested in taking a nap but having a hard time getting to sleep, you can absolutely queue this podcast back to about the 24-minute mark and listen to Elie, he has some prime stuff for you right there. Elie Mystal: A classic liberal doesn’t respect all of the amendments. Elie Mystal: Like the fifth. Elie Mystal: Actually most liberal to respect the fifth but not the takings part. Elie Mystal: I thank my mom for letting me join. Joe Patrice: Well, thank you mom, and thank all of you for listening. You should also thank Smith.ai who sponsors this show for making all this possible. You should be listening to this podcast through your subscription. If you aren’t subscribed, you should do that now, you should also be giving it reviews and writing things about how awesome it is that well — that all helps the algorithm, make sure that more people get to see the show, should read Above the Law, follow us on Twitter. He’s @ElieNYC, I’m @JosephPatrice. 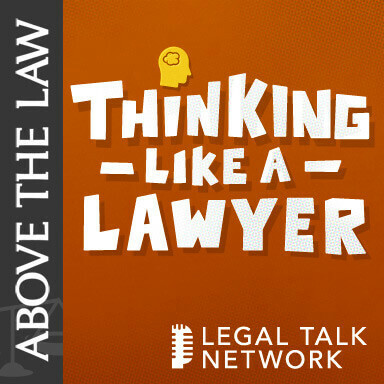 You can listen to other podcasts, Kathryn who has been guest-hosting has one called The Jabot, you also have all of the Legal Talk Network offerings. If you just go over there and check all those out, and yeah, that’s pretty much everything. So thanks for listening and we will talk to you again soon. Elie Mystal: There’s a nonzero chance we’ll have a microphone next time. Joe Patrice: Yeah, it’s nonzero, it is not a hundred but it is nonzero. It’s the best you can hope for people. All right, that’s it, bye.